When is a multiplatinum artist with a string of chart-toppers considered a one-hit wonder? When does an artist that shot to No. 1 the first time out spend the rest of his career wishing he had never recorded the song that instantly granted him stardom? Both are easy questions to answer if you're Billy Ray Cyrus. 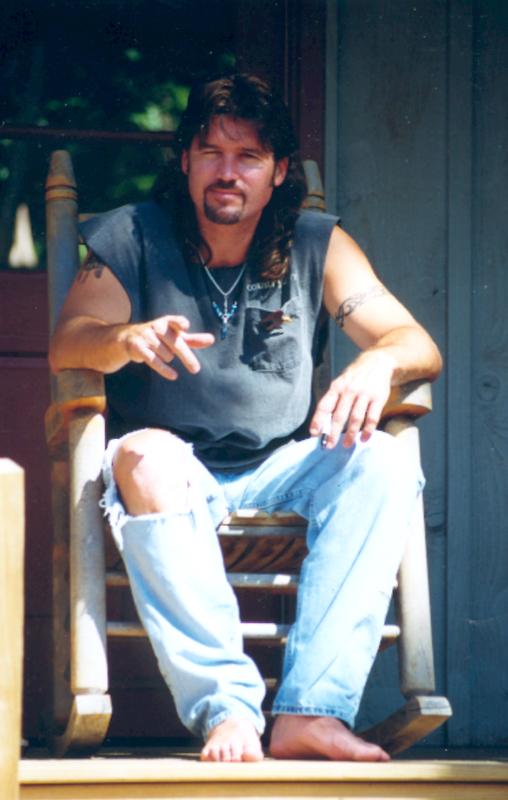 country song and placed among the Top 5 on pop charts. With the help of Cyrus' hip-shaking and rugged good looks, the single pigeon-holed the singer rather unfairly as less country superstar and more Playgirl pin-up novelty act. Now nearly a decade after "Achy" made him an overnight sensation, Cyrus returns with "Southern Rain"--a set that he hopes will finally pull him from beneath his debut single's hefty shadow. 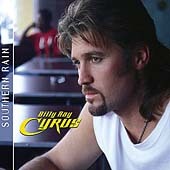 If judged on its own merits, "Southern Rain" could be just what Cyrus needs to achieve that. After all, he's included every country music cliche (including requisite dedication to Elvis--this one written by popster Bryan Adams). Don't hold it against him, though. He's also pulled together a selection of radio-friendly tunes that showcase his vocal and musical advancements. Kicking the disc off with the first single, "You Won't Be Lonely Now," Cyrus shows his trademark growl has matured . . . as has his music. Not the strongest selection from the disc, but it's certainly enough to return Cyrus to the listening public's consciousness and prepare audiences for what is to come. The singer shares writing credits on the title track, the nostalgia-filled "Southern Rain." Similarly convincing is "Love You Back," an emotive, hook-laden track about love on the run. At once accessible and compelling, Cyrus is ready for immediate country airplay with either. Cyrus' strong-suit has always been his rock-a-billy roots--and he refuses to disappoint here. "Crazy 'Bout You Baby," with Jerry Lee Lewis-inspired piano work, gets the blood pumping. Requisite white trash anthem "Burnin' Down the Trailer Park" will elicit a grin. By the closing track and show-stopper "Without You," things have smoothed out. The passionate, plaintive cut, co-penned by Cyrus and pop one-hit wonder Jude Cole (1990's "Baby, It's Tonight"), is everything Cyrus should hope to be remembered as. On a track layered thick with steel guitar, Cyrus masterfully performs an agile tight-rope act between pop and country power balladry. As with the name of his record-setting debut CD, Billy Ray gives all he has to show why he has, throughout all his career pitfalls, refused to be counted out. "Without You" is the homerun Cyrus has been seeking for 10 years. Open-minded radio programmers in both music formats could easily allow this stellar single to cement Cyrus' star status and return him to the top of Billboard's charts.